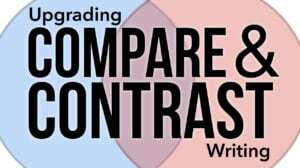 Students will use keywords to upgrade their compare and contrast writing from a mere list of facts to a deeper analysis. It's worth spending time laying the foundation of a strong structure for non-fiction writing. 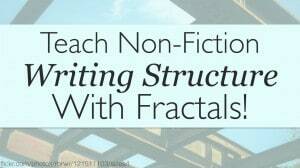 We'll use the fun concept of fractal shapes to discuss the patterns in non-fiction writing. 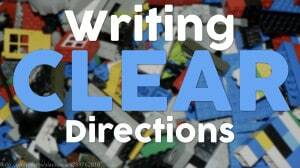 Teach students the importance of clear writing as they create directions to build a simple Lego toy. 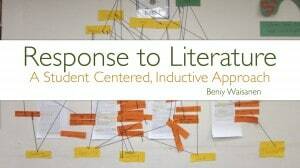 Beniy Waisanen explains how his students analyze literature using an inductive model of instruction. 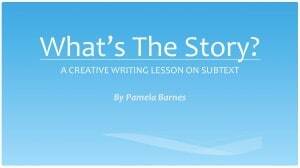 Pamela Barnes explains the lessons she uses to teach her students about subtext in their writing.